Searching for a Home Appraisal in Tomball, TX? As one of the leading providers of residential and commercial appraiser services in the Tomball market area, our certified appraisers can help you with valuations for both private and lending use. We strive to provide an appraisal service that exceeds our clients needs and is delivered with an industry leading turn time. We have some of the best appraisal fees in the area and we take pride in delivering reports faster than the average appraisers. We only employ appraisers that are local to the Houston area and familiar with its various markets. Our staff is capable of performing assignments for residential, commercial or mixed-use properties. 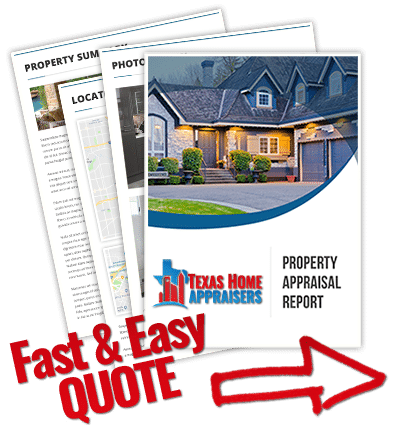 If you have a commercial property that needs appraising our staff of Texas Certified General appraisers can provide you a quote based on the assignment details. Whether you need a property value report for lending, private use or a legal matter, our appraisal services can accommodate most real estate valuation requirements. Be it homeowners or industry professionals, our dedication to you remains the same – to provide a reliable and courteous appraisal service. If you’d like to discuss your appraisal needs in more details please contact us via the phone number on this site or the online contact form found above. Getting scheduled takes minutes! Just fill out the web quote request form or phone our number above and one of our licensed property appraisers in Houston TX will be ready to help you with your appraisal. How is market value defined in an appraisal? Market value or fair market value is the most probable price that a property should bring (will sell for) in a competitive and open market under all conditions requisite to a fair sale, the buyer and seller, each acting prudently, knowledgeably and assuming the price is not affected by undue stimulus. What documents should I have ready for my appraisal? Though an appraiser is required to research and gather all his or her own data, it’s always best to gather anything and everything you feel may support the appraisal. The contract for sale is the one item an appraiser will want to review, if applicable. There may be certain aspects of the contract that could impact the appraisal value. Other helpful, though not necessary documentation would include: A property survey of the house and property. Deeds or title docs which contain a legal description. A list of personal property to be sold with the house if applicable. A list of upgrades and improvements made in the last 5 years. Floor plans can be very helpful to an appraiser, especially if the property has been added onto or structurally changed in any way. Every appraisal will include an effective date which indicates the day the estimated value was determined to be valid. Exactly how long your opinion of value will remain accurate depends on the market conditions. If your appraisal is for a loan then lender guidelines will also impact the appraiser’s decision on comparables and timingin adjustments. The typically accepted “expiration” period for an appraisal is 60 days. The two, while both attempting to value the property, are quite different in their approach. A CMA will most be comprised of a market comparison approach. For residential property an appraiser will also rely heavily on comparable properties, but the level of research and adjustments to each sale are much more in depth. An appraiser also looks at land values, construction prices and rentals in the area. A CMA delivers a “ball park figure”, an appraisal delivers a defensible and carefully documented opinion of value. The most influential of all these factors is the person creating the report. Real estate agents write CMA’s, and they don’t always know the whole market or bear specific competence when it comes to home valuation. Appraisers on the other hand are bound by ethics rules that require them to have market competence or disclose the lack thereof. The appraisal is created by a state certified professional who makes a living out of valuing properties.